A spate of ten burglaries across West Oxfordshire over the past week are believed to be linked by police with cars, jewellery and cash stolen from homes. The incidents, which occurred in Witney and the surrounding areas, took place between Monday, January 14, and Sunday (January 20). All incidents involved the offenders gaining entry to properties by smashing a window or door, with valuables stolen during the burglaries. Detective Constable Steven Bates said: “I am appealing for any witnesses who were in these areas at the time and may have seen or heard anything unusual. The first incident occurred on West End, Kingham, sometime between Monday Sunday – it is currently not known what has been stolen. Jewellery and cash was stolen after a window was smashed at the rear of a property on Fawler Road, Charlbury, between 12pm on Thursday and 5pm on Sunday. Again jewellery was taken after a window at the rear of the home on Main Street, Over Norton, between 10am on Friday and 7pm on Saturday. A fourth incident was on Bicester Road, Enstone, between 4.30pm and 4.50pm on Saturday – a window was smashed at the rear of the property but it is currently not known what has been stolen. A side window was smashed with jewellery and cash taken at a property on Enstone Road, Charlbury, between 3.30pm and 4.10pm on Saturday. In Witney on Saturday, an Audi was taken from Mill Street after a rear door was smashed between 7.30pm and 9.45pm. 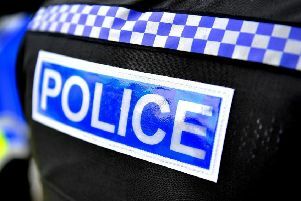 Jewellery and cash were stolen after a rear window was smashed at a home on Chestnut Close between 11.30am and 10.40pm. And jewellery was taken after offenders entered another property on Chestnut Close via a top floor window between 3.45pm and 11.40pm. On Sunday, more cash and jewellery were stolen from a home on Wroslyn Road, Freeland, between 1.20pm and 3.45pm after a rear window was smashed. Finally a BMW and jewellery were taken from a property on Burford Road, Minster Lovell, between 1.30pm and 5pm. There is currently no description of the offenders, however a dark-coloured hatchback, possibly a VW Golf vehicle, has been seen near some of the burglaries. Det Con Bates said: “Residents can reduce the risk of becoming a victim of burglary by taking a few simple steps. “When going out, remember to light up your home using timer switches or a TV simulator. “Don’t leave valuables or cash on display and store your house and car keys away from your letterbox. “Move bins away from any side gates to prevent easy access into your property. “Lock any tools away to prevent them being used to break into your home. “Consider fitting a motion activated external light or installing a CCTV system. “Finally, mark your valuables using a UV pen and register them on the national property register at www.immobilise.com.